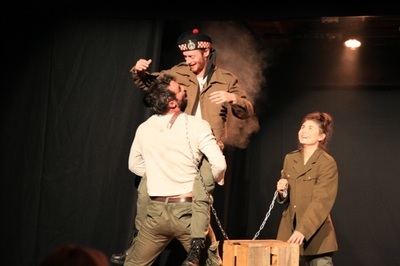 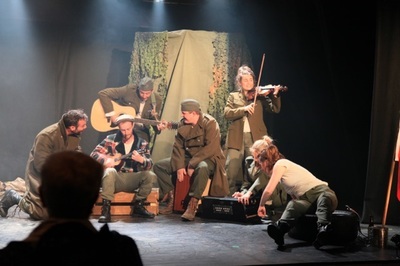 'Wojtek: The Happy Warrior' is a playful imagining based on the unbelievable true story of Private Wojtek; a Syrian Brown Bear who was enlisted into the Polish Army Corp during WW2. 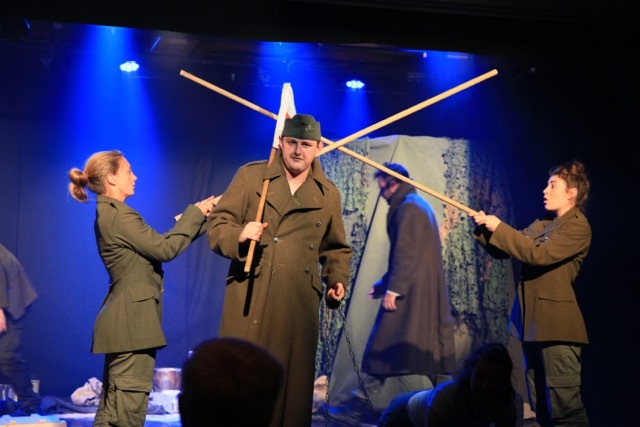 Wojtek (translation: happy warrior) lived with his Polish soldier comrades in the Middle East and eventually saw action with his Artillery Company at the battle of Monte Cassino. 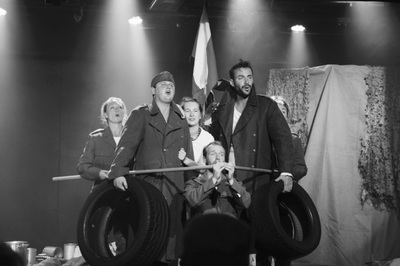 Wojtek eventually travelled to Scotland with his unit after the war in search of a new life. 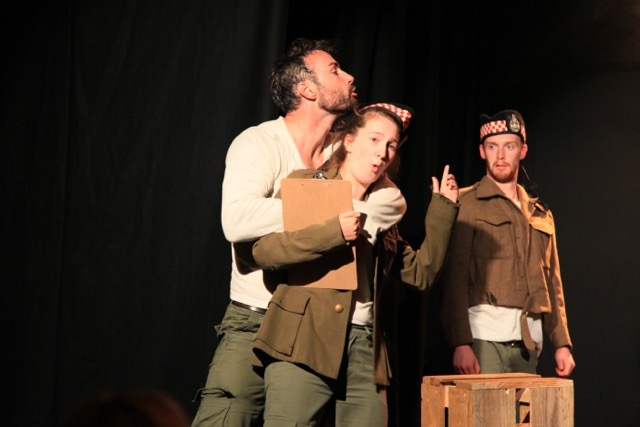 After camping in Palestine, going to war in Europe and living in the boarder territory of Scotland, Wojtek spent the end of his life as a resident of the Edinburgh Zoo. The city is now planning to honour him and his Polish comrades with a commemorative statue. 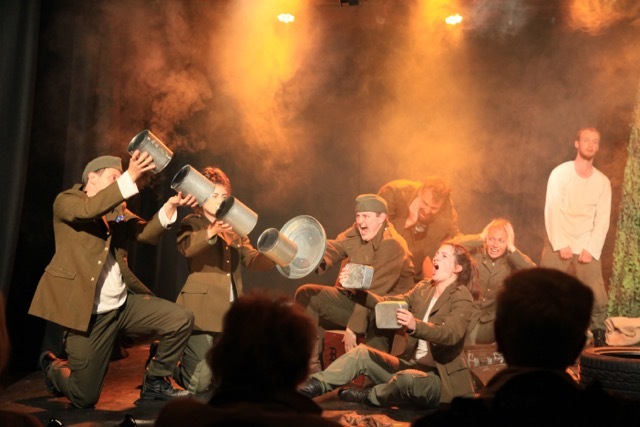 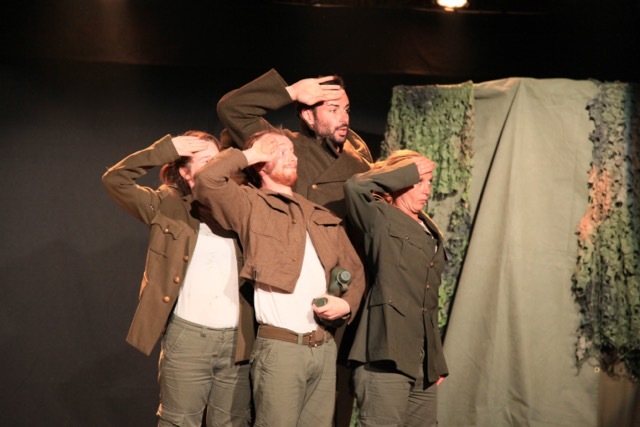 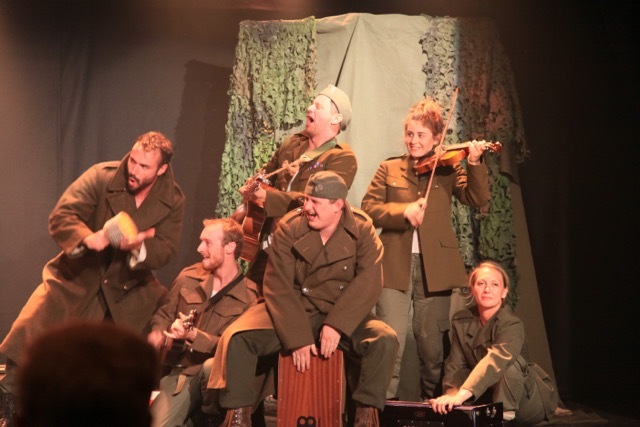 Through Ensemble storytelling, live music and playful physical characterisation ‘Quarter Too Ensemble’ bring to life a version of true events that highlight the nature of friendship and empathy against the chaos of war.